People are drawn to it by images of pubs, museums, theater, and royalty. London is a cultural and fashion capital, a great place to go out, and an amazing place to eat. There&apos;s always something new to do! London is a glamorous city bursting with history, grand architecture and fancy boutiques. London is also a city with an edgy underbelly, delighting in neon pink dive bars, cheeky graffiti and mind-blowing street food. The main attractions in London are well known. Buckingham Palace, the Tower of London, and the London Eye are iconic landmarks. 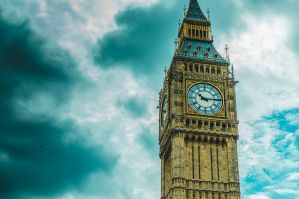 Westminster Abbey and St Paul&apos;s Cathedral dominate the city&apos;s historic church scene, and Tower Bridge is the prime feat of Victorian engineering. Tate Modern, the British Museum, and the V&A are some of the most visited museums in London, which is to say nothing of the Natural History Museum and the National Gallery. The only problem with London is that it&apos;s very, very expensive; it can eat away at your budget if you aren&apos;t careful. Luckily, there are also tons of free or cheap things to do in London that can fill your time. Always make sure that you check the price of parking before you book your stay. Some hostels charge extra with the room, while some charge when you arrive. And some hostels only have a limited number of parking spaces that are available on a first-come, first-served basis. Park Villa is a new boutique hostel in the heart of the old East End of London. The hostel is a Georgian Regency villa with attached coach house and has been lovingly restored to reflect its original character and charm. A superfast WiFi is included in the price and all guests have access to a kitchenette with kettles, toasters, fridge, microwave, grill and oven as well as a comfortable lounge / TV room. 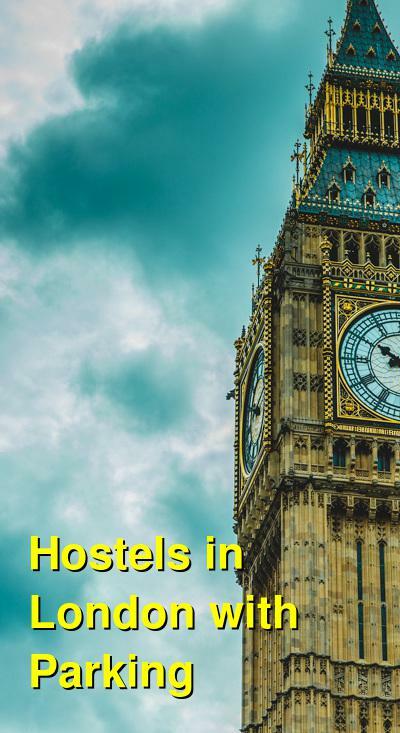 All rooms and showers are cleaned daily and the electronic entry systems, cameras and 24-hour reception ensure the hostel is safe at all times. They also offer a continental breakfast for £3 per night, fresh towels for £1, a coin operated laundry and a car park for £10 per night. Cards and cash are accepted for payment. You can stay in a mixed dorm of 4 to 8 people as well as in a female only dorm for 6 guests. The dorms at Park Villa feature oak wood floors, customized bunk bed pods, luxurious cotton bedding, grand plantation shutters and are mainly ensuites. The family rooms offer the same luxury, with shared bathrooms and full size baths. All rooms offer warmth, comfort and lots of space to stretch out. Palmers Lodge – Swiss Cottage is set in a spacious, lovely old mansionette with a distinctly Victorian English atmosphere. The knowledgeable, lovely and helpful staff are frequently praised for providing very focused, personalised attention to guests, while visitors can meet new people and have a good laugh in the downstairs pub. Whether you are a backpacker or a budget traveller, you will enjoy Palmers Lodges Swiss Cottage. The grand charm of the historic building combined with the great service and location will make your stay the most unique city experiences you will have in London. Stay in a deluxe twin private ensuite room, in a mixed dorm or in a female only dorm. Most of their bunk beds have privacy curtains, creating personal space even in a busy dorm. An added bonus is that beds are pre-made and come with linen all for free, so the late arriving lodger can jump straight into bed, or the bar! A happy guest needs a good breakfast, which is why this hostel offers a full continental breakfast for only £4.50 so that you can start your day full of energy! They also offer free Wi-Fi throughout the hostel so you can stay in touch with the rest of the world and explore what’s on in London! The property provides parking for only 5 pounds/night. They have a 24 hour reception so you can be assured that the staff will always be there for you. The establishment is close to the underground so you can be in any of London’s hotspots within minutes! If it’s shopping you’re looking for, the tube will take you directly from Swiss Cottage Station to the centre of Oxford Street, or you can shop till you drop at Europe’s largest shopping centre Westfield. You could also have a drink or two in Leicester Square, take a spin on the London Eye or spot Kate and William at Buckingham Palace, all this and more with the tube from Swiss Cottage Station just around the corner! Whether it is your first time in London or you are a seasoned traveller, No.8 has everything you need to ensure that your stay in London is definitely enjoyable and comfortable! At No.8, the staff takes pride in their customer service and ensure that all of their guests get everything they want from their time in London. They have live entertainment on weekends within their traditional english pub. Different room types are available including single private rooms and 6-bed, 10-bed and 16-bed mixed dorms with shared bathroom. No.8 at The White Horse offers spacious and modern bedrooms with bunk beds, comfortable mattresses, clean sheets, duvets, pillows, storage space, broadband WiFi and private security lockers. Enjoy their fully equipped kitchen, dining space, outdoor deck and large lounge with a pool table, chess table, couches, satellite TV and darts board. All London tourist attractions are easily accessible with the tube, taxi or bus. The hostel also has laundry facilities, free parking, free city maps, luggage storage, 24 hours security and towels for hire.